has completed our quilt and it is just fabulous! The co-chairs received little glimpses of it throughout the process. How exciting is that! She handed the quilt back and said, "You should block it." Having no idea what that meant, she sent us several links on how to block and we blocked our quilt. 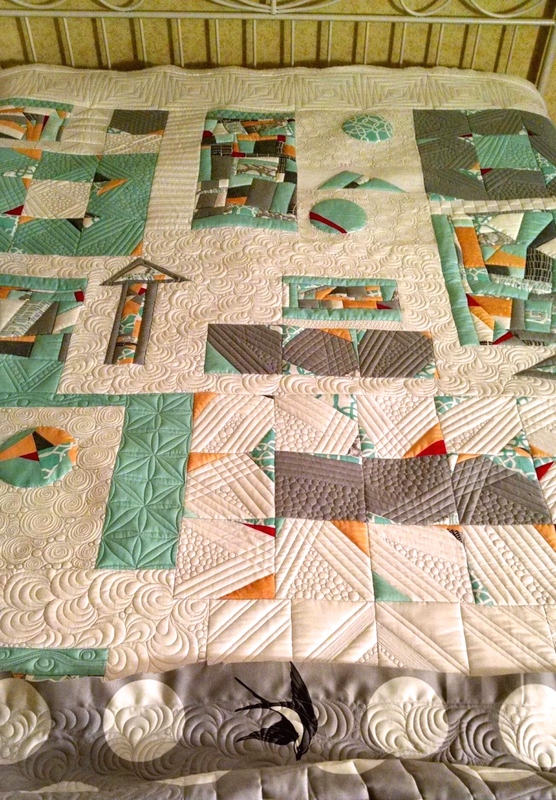 The quilt was squared and René Therrien volunteered to add the scrappy binding. Sleeve and label were added and we have Controlled Chaos! Now the biggest challenge of all will be deciding who to donate it too. Any suggestions?